History — Propeller Brewing Co.
For 20 years, Propeller Brewing Company has been making quality craft beer. Just about the same time he began to question his day job, an idea started to percolate. Props were about making things appear to be real. Maybe it was time to take on a career working with something that actually was real, say, beer. And how about a little bit more than that, say good beer. 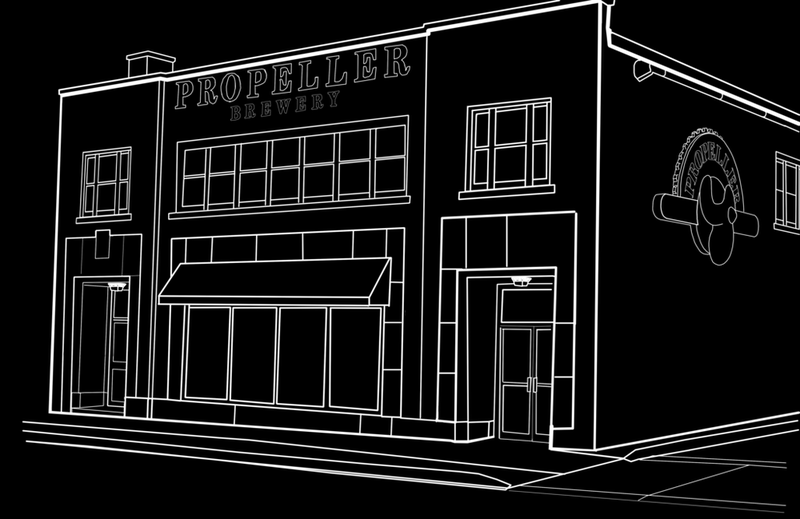 And so, in 1997, with ample help from a real-life supporting system that included family and friends, John Allen opened the Propeller Brewing Company on Gottingen Street in Halifax, Nova Scotia. In 2013, he expanded to a second location, on Windmill Road in Dartmouth. Oh, he also added another Allen to the business in 2015, his son Mike. After celebrating 20 years in 2017, who knows what might be next?